Barbara Best, MVA, CCVA CEO of Virtual Works Inc., has over 20 years’ corporate experience in the areas of administration, accounting and management. 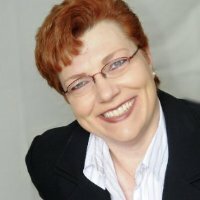 She was named as a finalist for the Ottawa Chamber of Commerce Professional Services of the Year Award in November 2007, and held the internationally recognized CAPM credential from the Project Management Institute 2008 – 2013. In 2011, she was nominated for a Businesswoman of the Year Award. She was also a teacher with the Virtual Assistant Training Program, the course that she took twelve years ago when starting her practice and was an instructor for Algonquin College’s inaugural Virtual Assistant Certificate Program in January 2012. Among many live presentations on the subject of Virtual Assistance, Barbara has also been a guest speaker for RBC’s International Women’s Day celebrations and a guest lecturer at University of Ottawa’s Telfer School of Management. Since 2004, Barbara has balanced career, family and community to grow Virtual Works Inc. into a total office management solution comprising a team of core consultants and an extended network of complementary service providers. She uses local talent because she believes in supporting Ottawa’s economic development first and foremost, and by extension, Canada’s growth and prosperity. The added benefit is that clients receive personalized attention by individuals who understand and can relate to their local work cultures, resulting in a growing list of repeat or long-term client relationships.